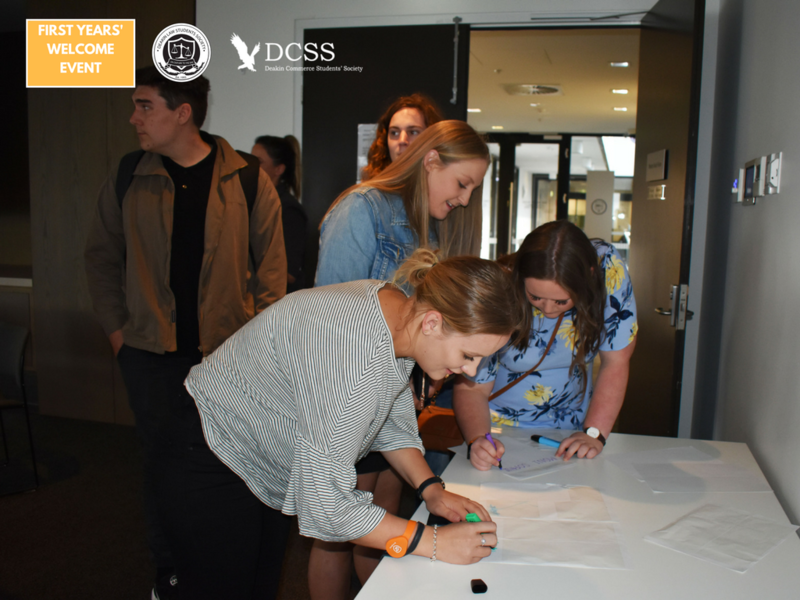 March 19, 2018 March 19, 2018 by dlssgeelong, posted in Get Involved! 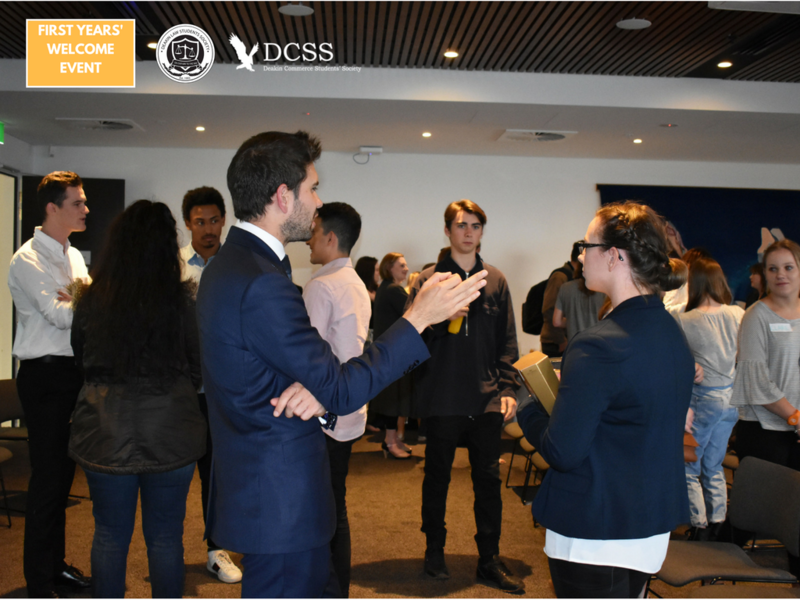 On Friday March 16th Deakin Law Students’ Society Geelong and Deakin Commerce Society Geelong hosted our first ever collaborative welcome event designed specifically for first year students. 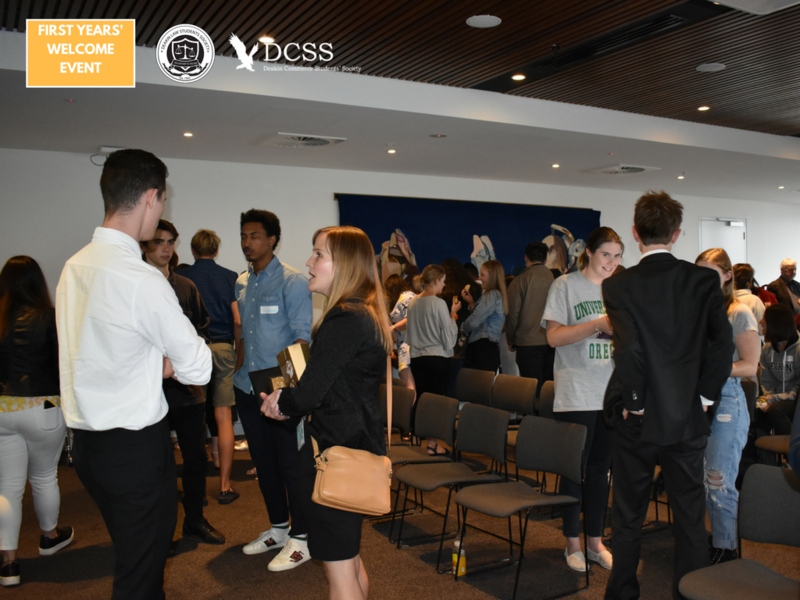 We wanted to run an event that would essentially be a crash-course from those ‘in the know’ about how to get the most out of your time at Deakin. I know myself and a few others who are now at the end of our degrees who are disappointed that we didn’t make the most of the opportunities for engagement that Deakin presented to us, for a whole range of reasons. This has driven us to try to better educate our younger cohorts, arming them with the information they need from the outset about all of the programs, resources and support networks that exist within the Deakin Business and Law Faculty. 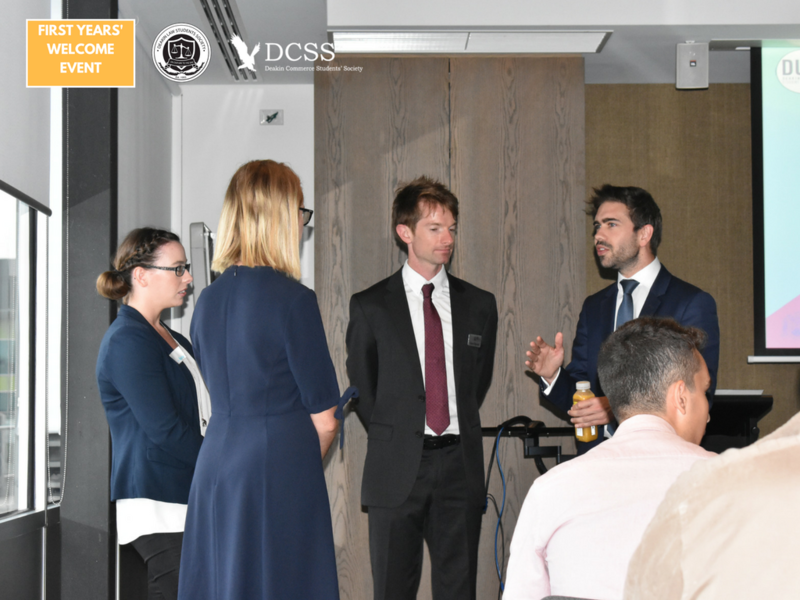 We were fortunate to have the full support of the Business and Law Faculty behind us for this event, which meant having access to the wonderful Western Beach Room on campus, as well as Faculty involvement and support in the planning of the event. 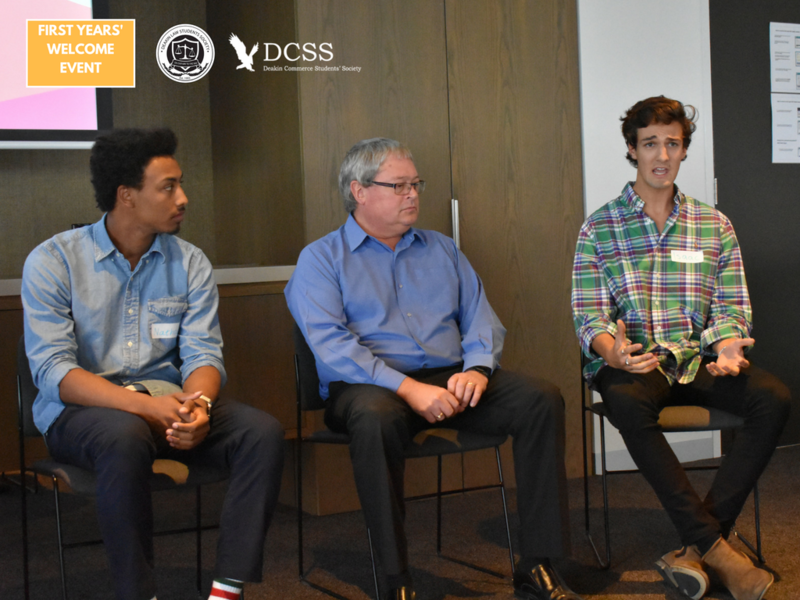 Without this commitment from Faculty, we wouldn’t have been able to have such a wonderful selection of panelists attend our event – so a sincere thank you to those involved for supporting our ideas. 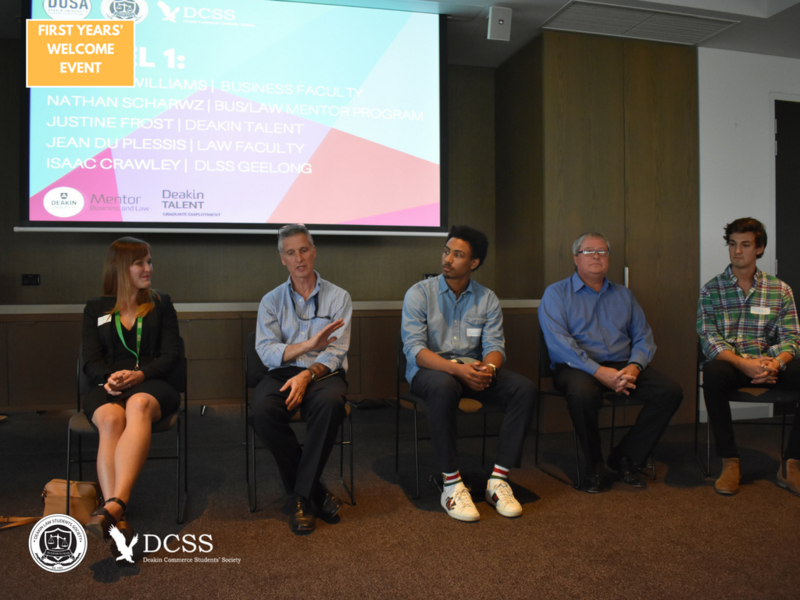 The first panel we hosted was a Deakin-focused one, featuring Jean du Plessis (Deakin Law School), Stephen Williams (Deakin Business School), Nathan Schwarz (BusLaw Mentor Program), Justine Frost (Deakin Talent) and Isaac Crawley (DLSS Geelong). 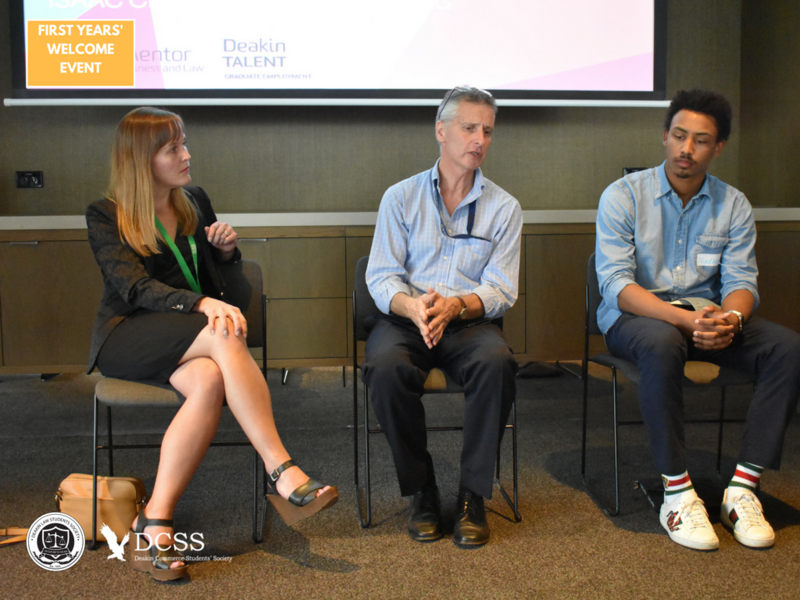 The overarching theme that came from this panel was inspiring students to take ownership of their future, their careers, and at the forefront of that, their time at Deakin. ‘Saying yes’ to opportunities was greatly encouraged – whether it be applying for a First Year Representative position on a Society, or taking part in an international study tour, attending a resume writing workshop or even just attending an event that you otherwise wouldn’t have gone to, putting yourself out there and accepting new challenges is one of the greatest ways to grow your skill set. 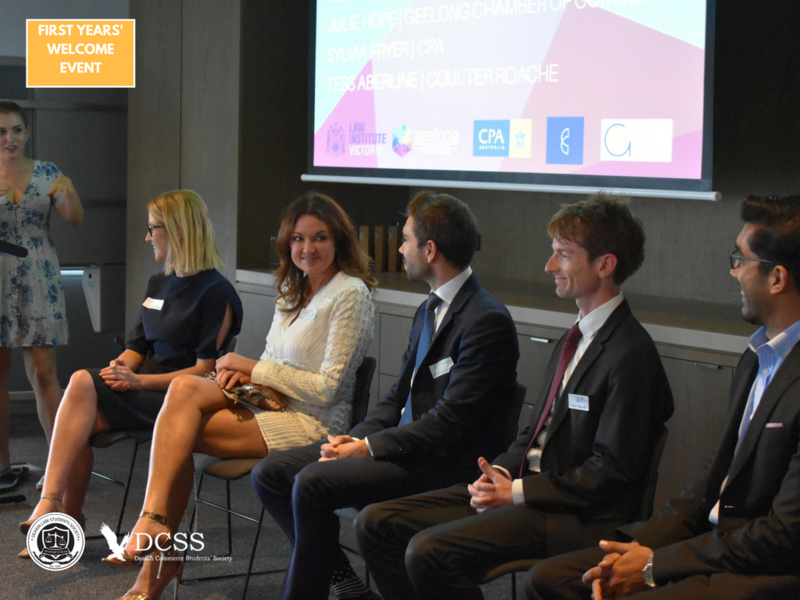 The second panel was focused on external stakeholders that DLSS Geelong and DCS Geelong regularly engage with, featuring Sam Dipnall (Law Institute of Victoria), Jesse Rankine (Geelong Law Association), Sylvia Fryer (CPA), Julie Hope (Geelong Chamber of Commerce) and Tess Aberline (Coulter Roache). 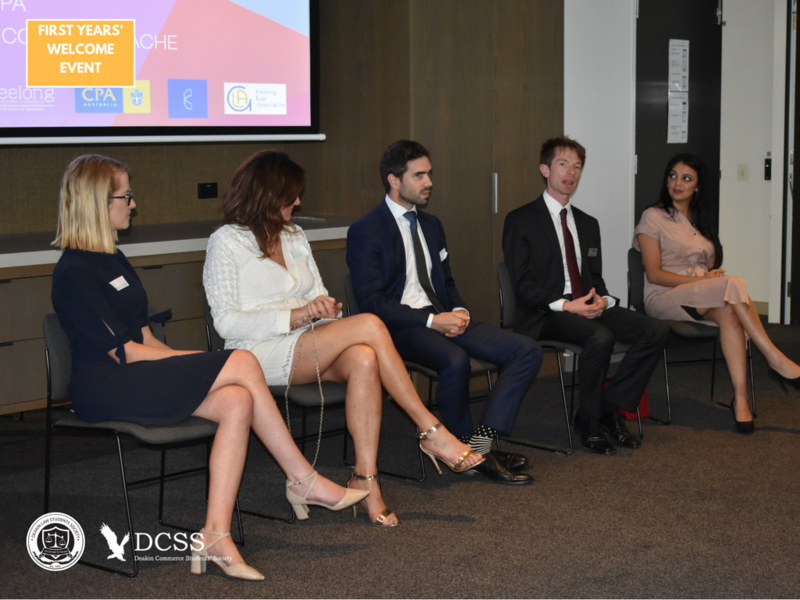 This panel drew on the personal experiences of many of our guests, discussing their career pathways, opportunities they took (or wish they took), as well as highlighting the ways that young lawyers and business-people can start building their resumes. 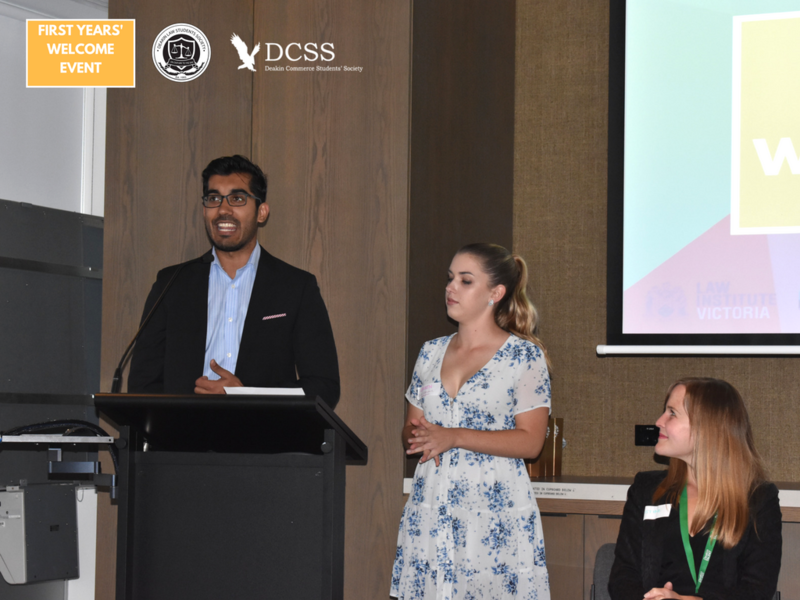 We touched on the importance of volunteering and applying for internships, to help students bolster their professional skills and experience different areas of their chosen profession in order to help guide them on their studying journey. 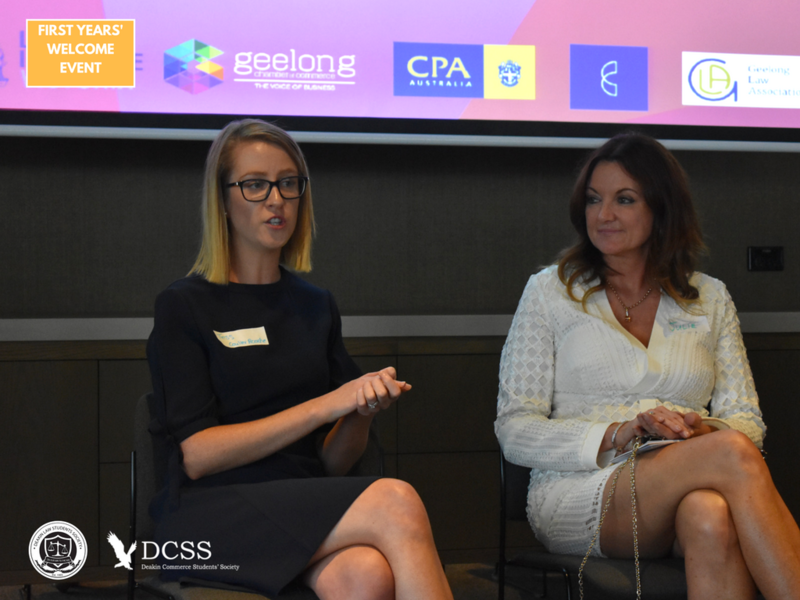 We also discussed the pros and cons of working regionally in Geelong, compared to the hustle and bustle of Melbourne CBD, highlighting the more supportive, engaged and progressive culture that lots of Geelong businesses have. The evening closed with time for students and panelists to network and ask questions of each other – We hope that all attendees found this time beneficial, by allowing students to approach panelists in less formal manner and partake in genuine conversation with speakers they found interesting. The thing that rang truest to me, as a now final-year student, was the recommendation that whilst HD grades look fantastic on your academic record, you need to be able to conserve with your peers and your potential employers in a confident and comfortable way. This is a skill that can only be learnt through practice and by putting yourself into new and (sometimes) challenging environments. There’s no better time to start at this than the present, and I hope that this event provided our new students with their first foray into networking with business professionals. I sincerely wish that all those who attended found this evening interesting, interactive and beneficial in providing them with insight into the many opportunities for engagement during their time at Deakin. 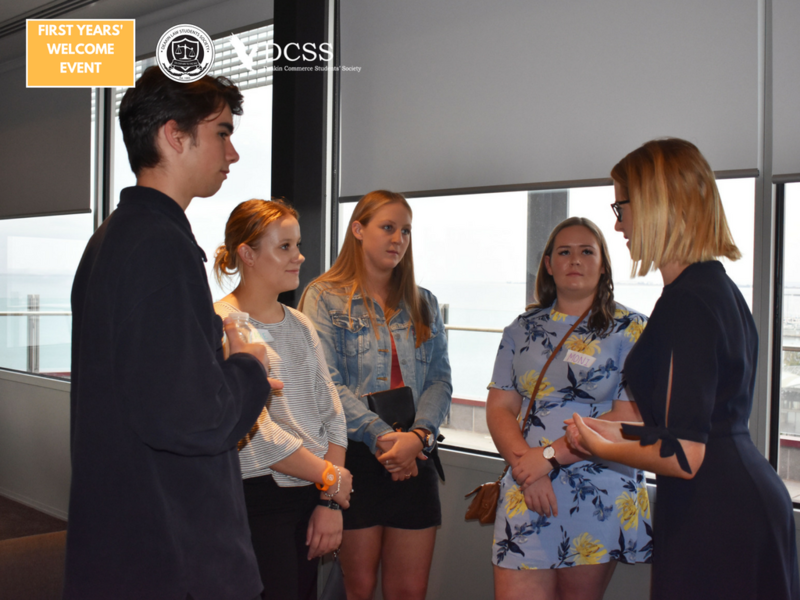 If you have any questions about the programs discussed, please do not hesitate to email president@dlssgeelong.com.au and I can point you in the right direction!